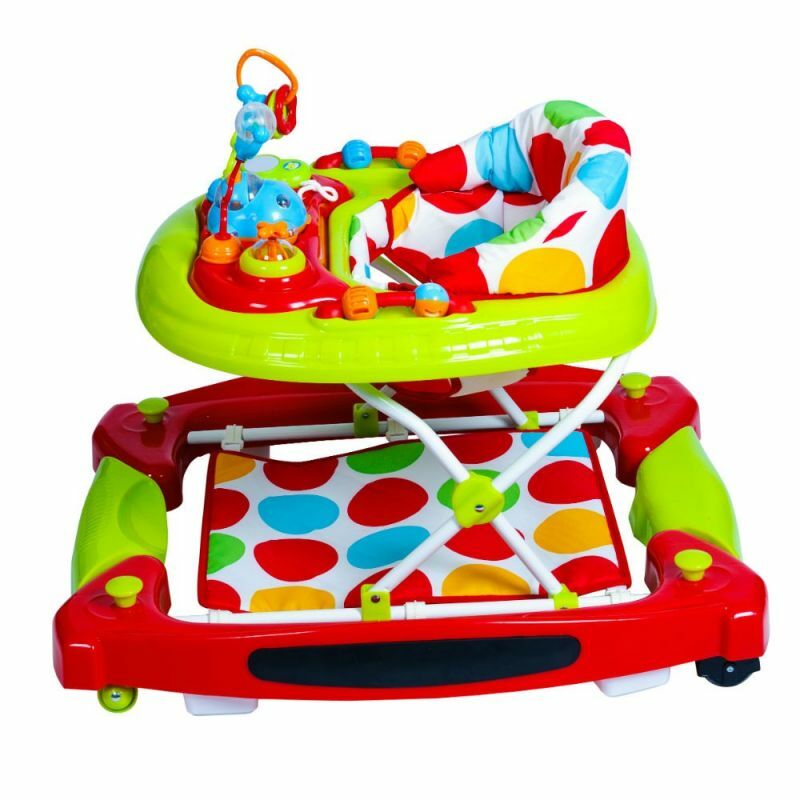 The Baby Go Round Twist is Red Kite Baby's flagship walker that has been thoughtfully designed to help baby towards their all important first steps. 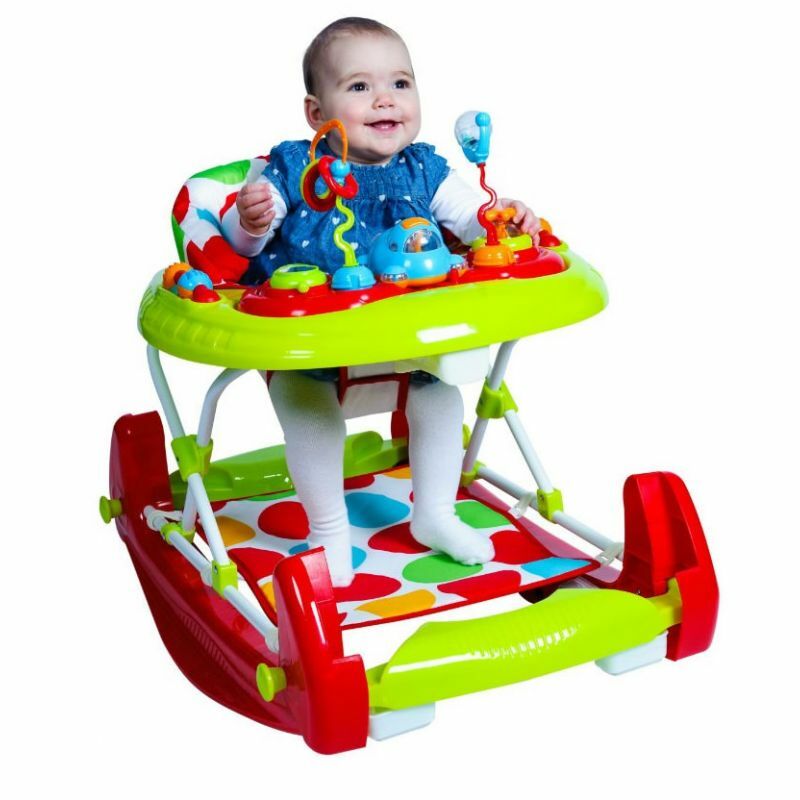 Bright, colourful and cheery, the Twist walker is sure to brighten up existing interiors and engage little one's.The brilliant electronic play tray is jam packed with activities to entertain and stimulate your baby with a variety of fun toys and musical functions. 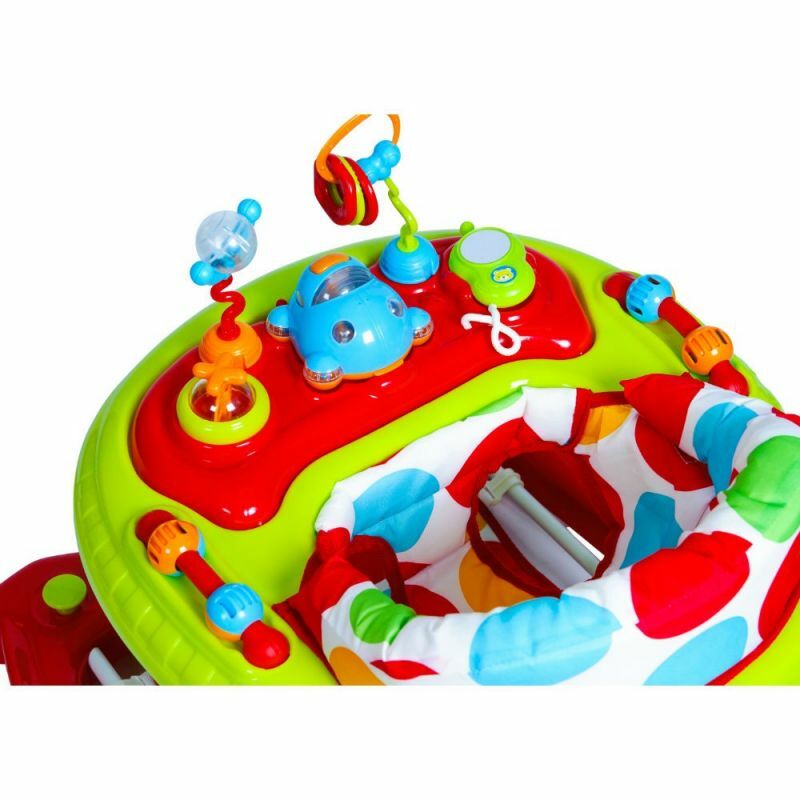 The play tray can be removed if desired, to allow baby to play with their own toys. 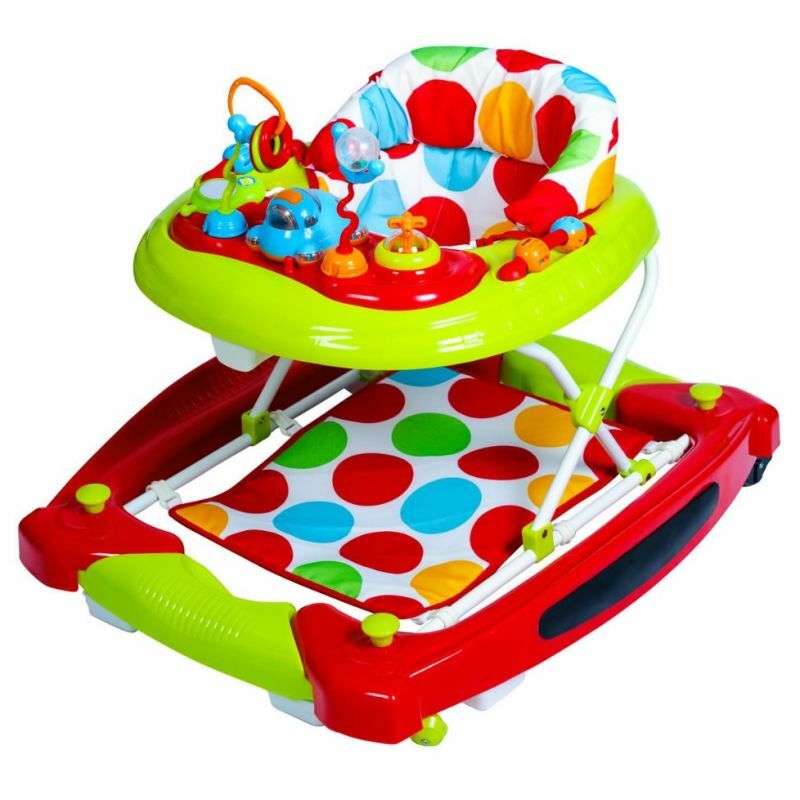 Setting the Twist walker apart from the others in the range is the ability to choose between a static or rocking base. 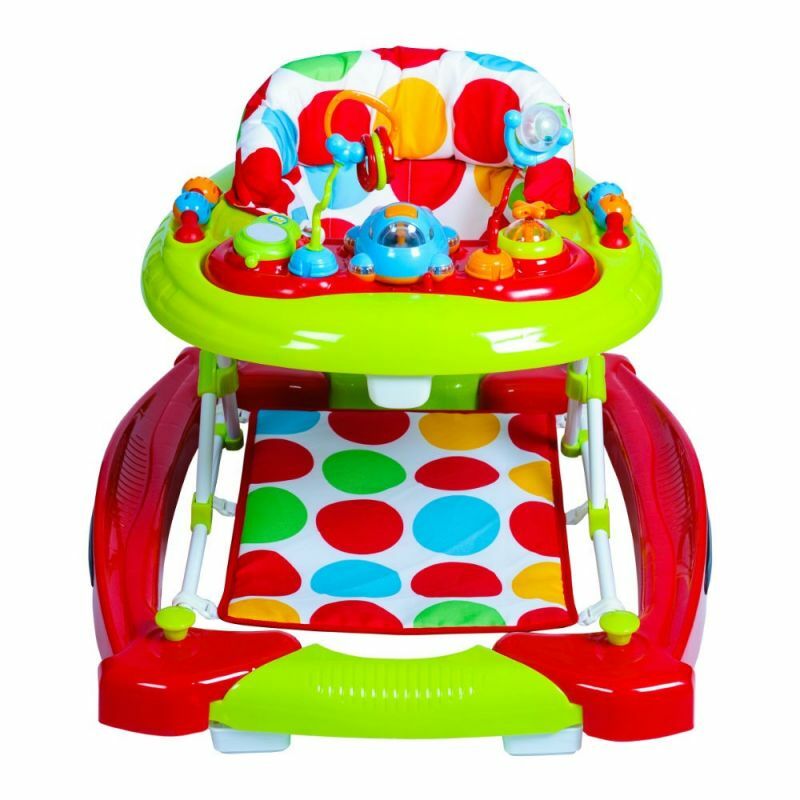 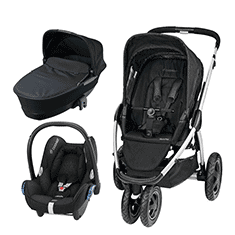 changing between the two options is easy and simple with an intuitive sliding mechanism located at the bottom of the walker.The Twist is height adjustable as standard, meaning that little ones can grow alongside the walker and with the stop n go base for extra safety, the Twist walker is the perfect choice for joyful babies.